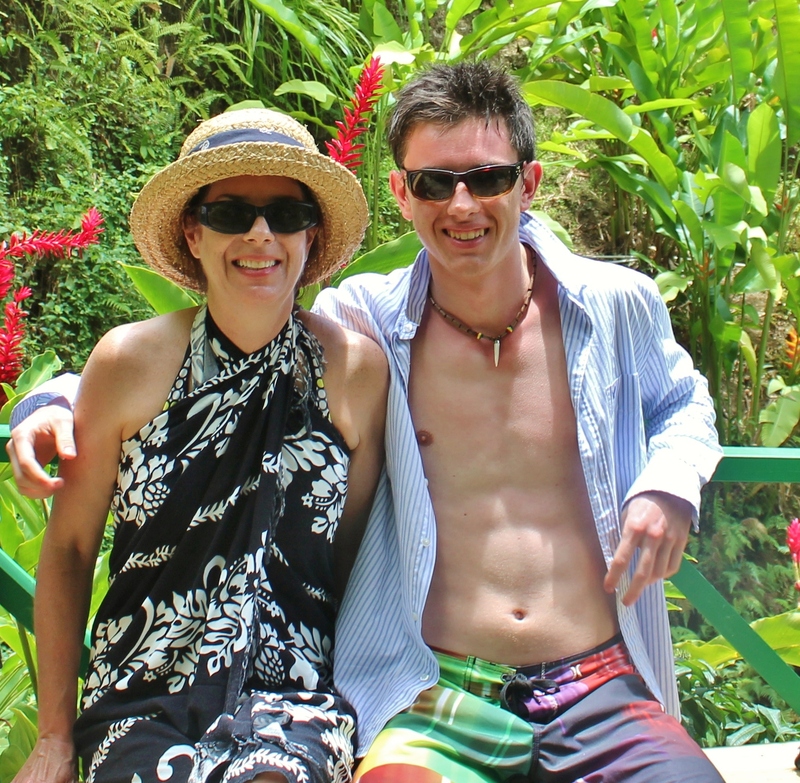 Recently returned from a fabulous Caribbean holiday in beautiful St. Lucia – a holiday of sunshine and colour! I hung out for a week with my teenage son and had a lot of fun. The resort we stayed at had a very relaxed vibe and I attribute that a lot to the style of the lodgings. All the accommodations were cabana-style with lofted ceilings, white painted bead board on the interior and a view to the garden and/or ocean. The cabanas were colourfully painted on the outside; turquoise, orange, yellow, green and blue. St Lucia is a very photographic island with beautiful topography. 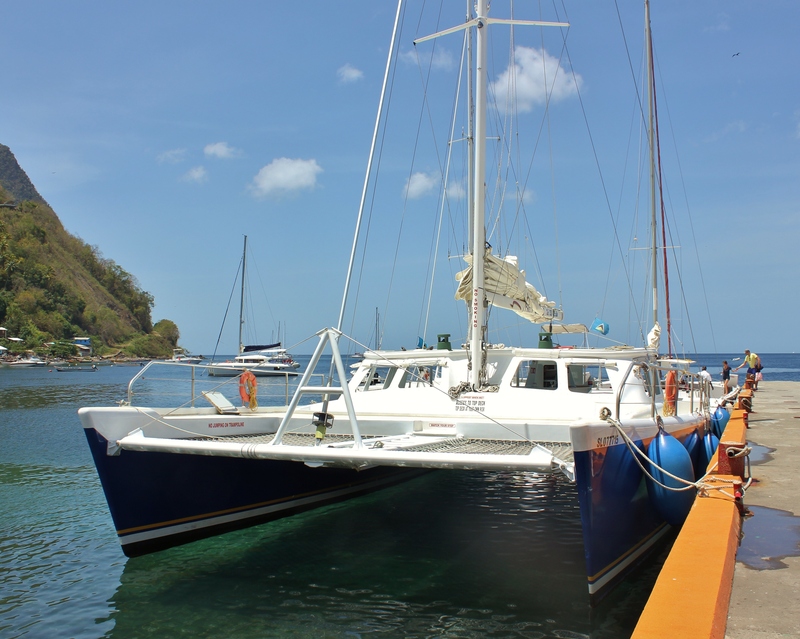 One of the best ways to see the island is aboard the water so we took a ride aboard a catamaran and sailed up and down the coastline. Is there anything more beautiful than a white sail against a blue sky? Truly the reason why we try to capture the feeling of ‘nautical’ in design. The majestic twin Peaks ‘The Pitons’ are amazing and not only is the local beer named in their honour but the St Lucia flag is designed with them in mind. During the day if we weren’t bobbing in one of the 7 pools the resort had to offer we were lounging on the beach. The affinity pool with the swim-up bar was the place to be at cocktail hour! And nothing like water and palm trees to make for the most outstanding sunsets! This entry was posted in Colour, Design and tagged architecture, color, DECOR, Interior Design, photography, Travel by Modmissy. Bookmark the permalink. Beautiful pictures!!! Now back to work for you. Returned to a ‘slow’ spring. No problem though as I do enjoy the changing of seasons. Hope all is well in your part of the world! Missy, OMG…what a great shot of you and your son. And the beauty shots…feel like I was there! Thanks for sharing!! What a beautiful place and a couple of handsome dudes.